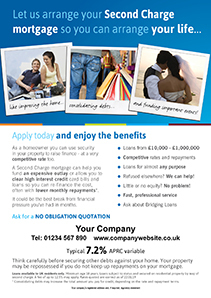 To help you convey the benefits of a Second Charge mortgage to your customers, The Loan Partnership can provide you with a choice of posters and leaflets, ready to be downloaded and rebranded with your own contact details, instantly. 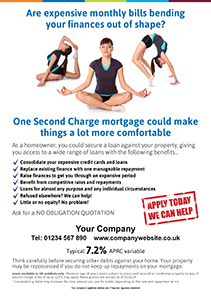 This material has been professionally designed to make the messages easy to understand and helpful to customers who want to be confident that a Second Charge mortgage is right for their needs. Introducers who are registered with The Loan Partnership are FREE to use the marketing material whenever they wish, saving valuable time and money. It’s a one-stop solution that eliminates delays dealing with expensive suppliers. Select from the menu above and download the pdf. Secured loans are regulated by the Financial Conduct Authority. You need to be authorised and regulated by the Financial Conduct Authority to advertise for secured loans. The Loan Partnership will require a copy of your permission if you wish to use any of the available marketing collateral, and you will need to be registered with us to access it.